Butta is the adopted moniker of Kimberly A. Hines, a writer and editor with a deep passion for music. From her Jamaican-rooted origins in the Boogie Down Bronx, to her formative years in South Florida, to her coming of age in Washington, DC, Butta's musical tastes are quite similarly all over the map. 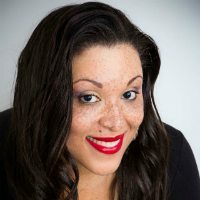 While in the midst of writing her first novel, she started her own blog to combat writer's block that showcased her comical and critical spin on music, reality television, shopping, and living in the DMV, which led to being handpicked by Danyel Smith to write VIBE Confidential, the first blog on VIBE.com. She never finished that novel, but she has become a much sought after digital journalist at the intersection of soul music and social media. She has contributed pieces to Clutch Magazine, The Root and Vibe Vixen, and she has covered soul and R&B music on behalf of SoulBounce at the GRAMMY Awards as the official R&B Community Blogger since 2010. At SoulBounce she gets to combine her love for music and the written word and bring a witty, honest spin to the site. Butta's favorite artists include Stevie Wonder, Prince, Marvin Gaye, Michael Jackson, Eric Roberson, The Roots, Maxwell, Jill Scott, Lalah Hathaway, The Foreign Exchange, Jamiroquai, YahZarah, Mary J. Blige, Bob Marley, A Tribe Called Quest, Sade, Erykah Badu, Janelle Monáe, Yolanda Adams, Fred Hammond, India.Arie, Musiq Soulchild and Tortured Soul, to name only a few. Click here to read Butta's archives. At one point in time D-Money (also known as writer and editor Donte Gibson) thought he'd be making music instead of writing about it. He spent many years singing in choirs, marching in bands, pecking at piano keys and doing really bad Michael Jackson impersonations before he realized that his love of music was a bit of a one-sided affair. Luckily for you, and the rest of the public, he found that his talents flow much better when he put pen to paper than they ever did during his futile attempts at becoming music's next big thing. 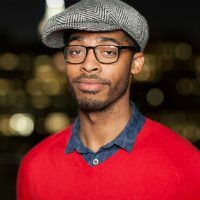 When he's not writing about his first love (or throwing shade at Justin Timberlake), he can be found trying to do the ultimate writerly task: writing the great American novel. Hopefully we'll see the fruits of that labor of love in the next decade. In the meantime, you can get a peek inside his world by checking him out on Twitter (his handle is @itsdonte). If you were to browse through D-Money's music today, you'd find an eclectic mix that includes jazz, hip hop, house, rock, R&B, soul, gospel and even a little bit of country (he is from Texas after all). You'd also find more than a little Janet Jackson, Prince, Sade, John Coltrane, Maxwell, Kanye West, Miles Davis, The Roots, Quadron, Little Dragon and Erykah Badu. Click here to read D-Money's archives. Mercy Chikowore has an unhealthy obsession with words and music. Almost always the shortest person in the room, you can find her at the front of the stage at most shows. Born in Japan but originally from Zimbabwe, Mercy was raised on Brenda Fassie, Oliver Mtukudzi, Mariam Makeba and Pépé Kallé. Growing up in New York City, Mercy found solace in TLC, Aaliyah and The Fugees and studied old Michael Jackson, Madonna and Whitney Houston performances. When she moved to Geneva, Switzerland for high school, she religiously listened to favorite bands Incubus, NOFX, Green Day and the Deftones and developed a love for soul and UK garage (hey So Solid Crew!). Just like her passport, her curiosity for diverse music knows no bounds. She caught the writing bug early and practiced with numerous diary entries. She continued to write for her school and local newspaper during her college days in South Carolina. Her most recent work can be seen in the form of press kits and releases since Mercy also moonlights as a public relations consultant in the non-profit and entertainment sectors in Washington, DC. The girl can write a mean pitch. From working backstage with artists to now standing in front to review their shows, Mercy is all about sharing good music and telling the world to listen. She has a fine appreciation for "ratchet" music, but her heart gravitates to hip hop and soul. Some of her favorite artists include Bilal, Chris Turner, Common, De La Soul, Bob Marley, Prince, Erykah Badu, K. Michelle, Lianne La Havas, Solange, Marsha Ambrosius, Brandy, Chaka Khan, Whitney Houston, Eric Roberson, Jill Scott, A Tribe Called Quest, Ebony Joi, Busta Rhymes, Kanye West, Mos Def, The Roots, Maxwell, Tank, Outkast, J.Dilla and more. Click here to read Mercy's archives.